Lumber and Screws Approved for Outdoor Use are Purchased Separately. Additional cost from your local lumber yard is approximately $255.Estimated Building Time for 2 people is 5 to 7 hours. The Air Rider is a delightful ride with formed saddle seats that are ideal for one or two children. 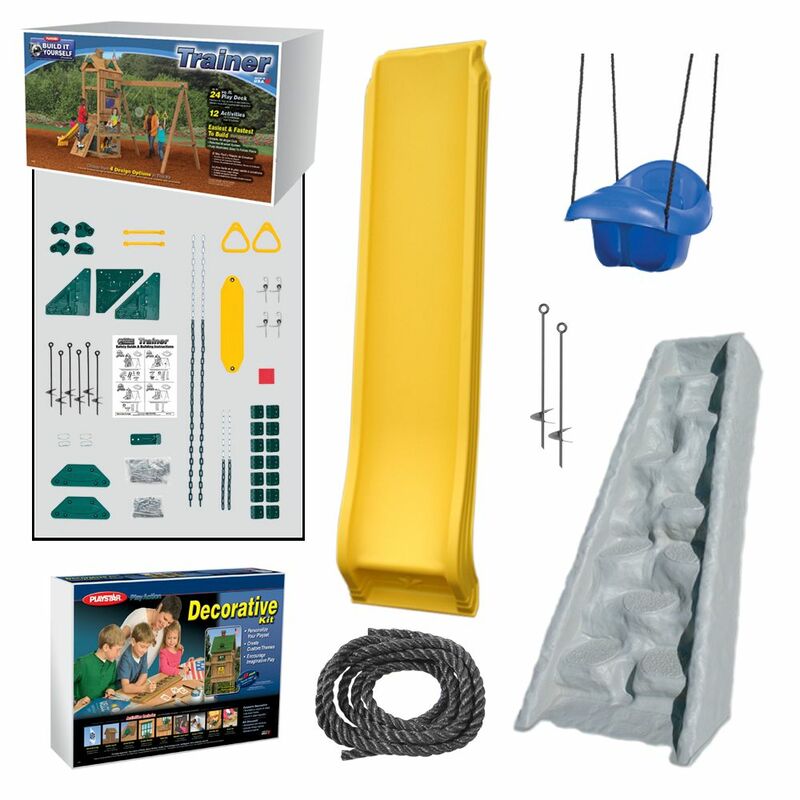 This playset accessory features double wall construction for the ultimate in durability. PS 7980 Bring Home even More Fun and Transform your Children's Play Set with our Unique and Innovative Decorative Kit. Transform Your Children's Swing Set! New and Exclusive Decorative Kit allows you to Personalize your Play Set, Create Custom Themes and Encourage Imaginative Play. Includes: Decorate-A-Flag, Magnetic Chalkboard, Accent Dormer, Sunlight Window, Stencil Set, Flower Box, Sand Box Seat, Country Cupola, and Design-A-Plaque.